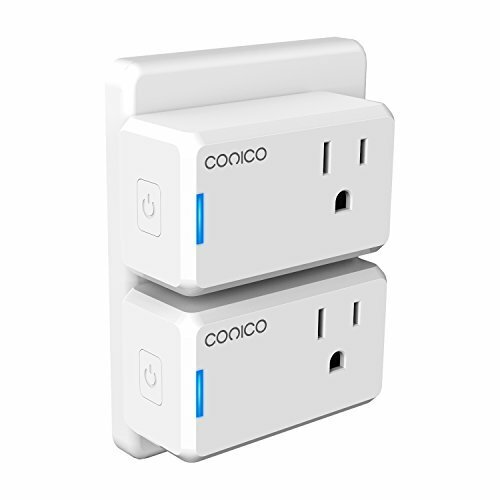 The Conico WiFi Mini Smart Plug supports a plethora of popular connected home standards, including Amazon Alexa . You can control the sleek Wi-Fi-connected device from anywhere, as well as set the schedules of the connected appliances. With the scheduling benefits of Conico Smart Plug, you have better control over your child’s night activities. Make sure the television is turned off when they should be doing homework, or user a countdown feature to have any lamps shut off right before bedtime. 1.Follow the user manual to download the Jinvoo Smart app and add the Alexa smart plug into your account via wifi connection. 2.Log in your Alexa account and choose “Skills” to enter next page. 3.Search “Jinvoo Smart” on search column. 4.Click “Jinvoo Smart” and the “Enable” button to enter link page. 5.You will be asked to enter your account and password of Jinvoo Smart in the link page. After you enter it, click the button “Link Now”. 6.After you link the Jinvoo Smart to Alexa, you can discover all household appliance that connected smart outlet and voice control them with amazon echo.